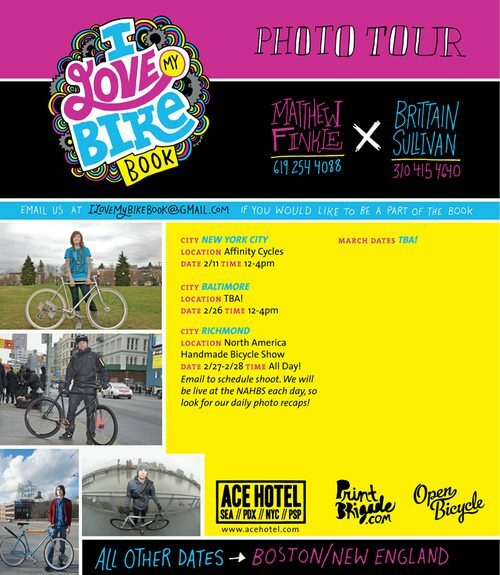 Just a reminder that Matthew and Brittain will be at Affinity Cycles today in Brooklyn taking portraits for the I Love My Bike Book project. Head on over and say hey and get your portrait taken. Don’t worry about the slush and snow, it’s not going to hurt you!